Ryanair, today (15th Sept) announced that it would cancel 40-50 flights daily for the next six weeks (to the end of October) to improve its system-wide punctuality which has fallen below 80% in the first two weeks of September through a combination of ATC capacity delays and strikes, weather disruptions and the impact of increased holiday allocations to pilots and cabin crew as the airline moves to allocate annual leave during a 9 month transition period (April to December 2017) to move the airline’s holiday year (currently April to March) to a calendar year (Jan to Dec) from 1st January 2018 onwards. Ryanair has operated at record schedule and traffic levels during the peak summer months of July (12.6m guests) and August (12.7m guests) but has a backlog of crew leave which must be allocated before 31st Dec 2017 in order to switch to a calendar leave year (as required by the IAA) from 1st Jan 2018 onwards. These tighter crewing numbers and the impact of ATC capacity restrictions in the UK, Germany and Spain, as well as French ATC strikes and adverse weather (thunderstorms) have given rise to significant delays in recent weeks. 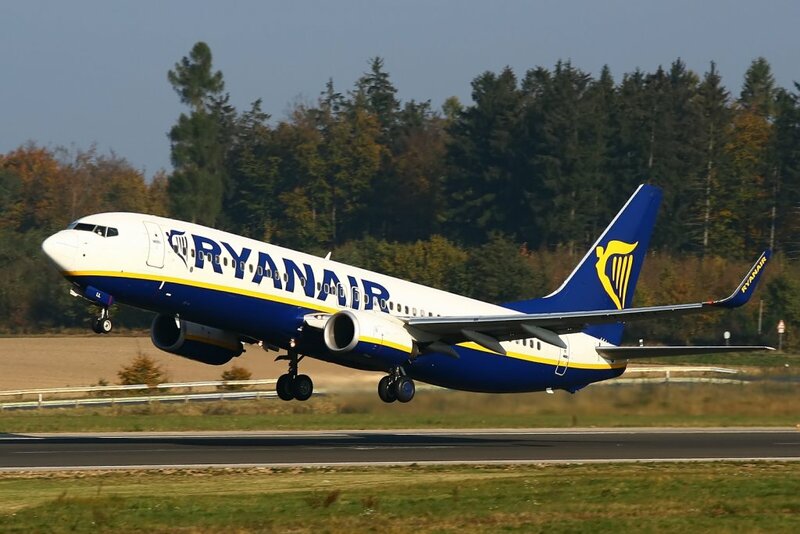 Ryanair’s on-time performance has declined from 90% to under 80% over the past two weeks, a figure that is unacceptable to Ryanair and its customers. By reducing its scheduled flying programme over the next six weeks by less than 2% (of its over 2,500 daily flights), the airline will create additional standby aircraft which will help restore on-time performance to its 90% average. Ryanair apologises sincerely for the inconvenience caused to customers by these cancellations. Customers will be contacted directly about this small number of cancellations and offered alternative flights or full refunds. “We have operated a record schedule (and traffic numbers) during the peak summer months of July and August but must now allocate annual leave to pilots and cabin crew in September and October (while still running the bulk of our summer schedule). This increased leave at a time of ATC capacity delays and strikes, has severely reduced our on-time performance over the past two weeks to under 80%. By cancelling less than 2% of our flying programme over the next six weeks, (until our winter schedule starts in early November) we can improve the operational resilience of our schedules and restore punctuality to our annualised target of 90%.